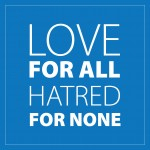 FAITH leaders, politicians and members of the public were invited by the Ahmadiyya Muslim Association of Hillingdon to unite for peace at a dinner on Saturday. People from all walks of life gathered at the Baitul Amn Mosque (House of Peace) in Royal Lane, including the Mayor of Hillingdon, Cllr Carol Melvin, and other councillors, church ministers and the Deputy Lieutenant of Middlesex, Bruce Houlder . The event was part of a campaign against extremism and to raise awareness of the peaceful message of Islam. The mayor said in her address: “In light of the current crisis in the world, it is very important we stand together and reject all efforts to create division in our society. “I am pleased to learn that the Ahmadiyya Muslim Community is committed to helping others, engaging communities and working for the common good. “Members have been visiting care homes and spending time over Christmas with elderly people who otherwise would have been alone. Burhan Baig Mirza, a medical student and member of the Ahmadiyya Muslim Youth Association, showcased some of its activities, such as raising funds for the Poppy Appeal, tree planting, helping Grenfell Tower victims and new year street cleaning in Uxbridge. 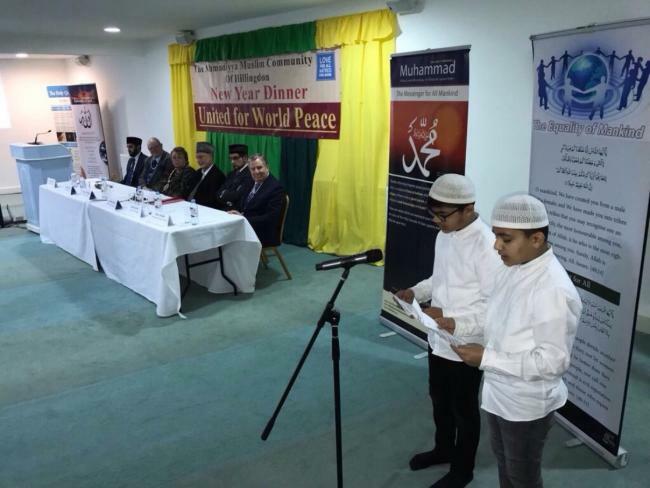 Two young boys, Fraz and Samar, presented a poem titled Love For All Hatred For None. The keynote speaker was Imam Laiq Ahmad Tahir who talked of religious tolerance in Islam.. The mosque is inviting visitors to an open day on Sunday, February 18, 11.30am-4pm.